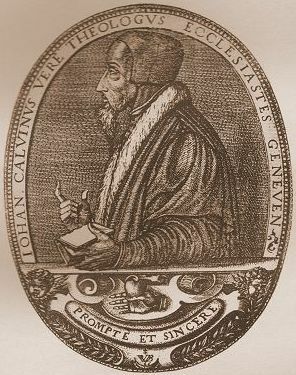 Like Chrysostom, John Calvin (d. 1564) is a proponent of typology and a critic of the allegorical interpretation of Origen. Calvin looks to the New Testament to help him to interpret the Old Testament (Puckett 178). In the long quote that follows, I have provided a section from Calvin’s comments on Galatians 4:22. It is clear from reading the quote that Calvin supports the idea that it is possible to distinguish between typology and the allegorical interpretation of Origen (and Philo). “In the first place, as the other party armed themselves with the authority of the law, the apostle quotes the law on the other side. The law was the name usually given to the Five Books of Moses. Again, as the history which he quotes appeared to have no bearing on the question, he gives to it an allegorical interpretation. But as the apostle declares that these things are allegorized, (allēgoroumena) Origen, and many others along with him, have seized the occasion of torturing Scripture, in every possible manner, away from the true sense. They concluded that the literal sense is too mean and poor, and that, under the outer bark of the letter, there lurk deeper mysteries, which cannot be extracted but by beating out allegories. And this they had no difficulty in accomplishing; for speculations which appear to be ingenious have always been preferred, and always will be preferred, by the world to solid doctrine. “With such approbation the licentious system gradually attained such a height, that he who handled Scripture for his own amusement not only was suffered to pass unpunished, but even obtained the highest applause. For many centuries no man was considered to be ingenious, who had not the skill and daring necessary for changing into a variety of curious shapes the sacred word of God. This was undoubtedly a contrivance of Satan to undermine the authority of Scripture, and to take away from the reading of it the true advantage. God visited this profanation by a just judgment, when he suffered the pure meaning of the Scripture to be buried under false interpretations. Calvin, John. Commentaries on the Epistles of Paul to the Galatians and Ephesians. Translated by J. W. Pringle. Grand Rapids: Eerdmans, 1948. The italics in the quote are original. I have added the bold. Puckett, D. “John Calvin,” in Historical Handbook of Major Biblical Interpreters, ed. D. McKim, 171-9. Downers Grove: InterVarsity, 1998.